The latest of many Indie games to roll onto the Wii U eShop is simply titled Armillo; a game which boasts a simple concept of saving your armadillo world from invading creatures while rolling around planets and defeating enemies. 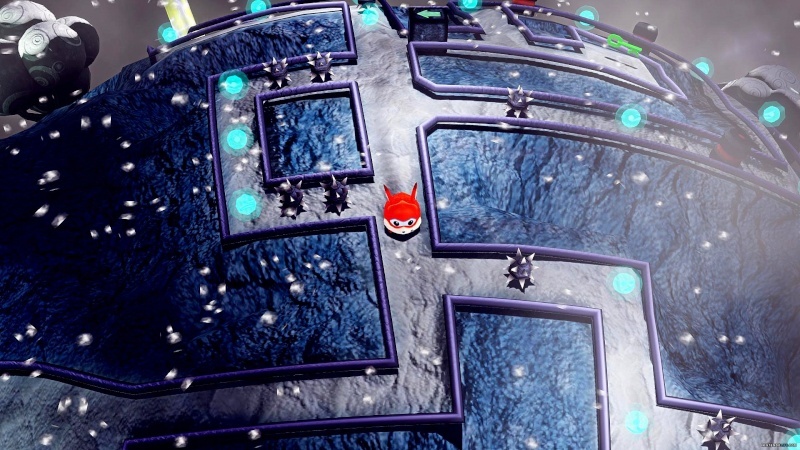 Combining gameplay elements from established franchises such as Sonic and Super Mario Galaxy, Armillo bucks the increasingly popular trend of simply ripping off ideas for profit, and manages to sucessfully combine these features and create a truly enjoyable game experience. Armillo the armadillo inhabits a world full of unique 3D planets, and is similar to Super Mario Galaxy in that you can maneuver yourself to completely explore the planet. However, this is where the similarities end; as Armillo has a much more strict path to follow on his adventure, which is not necessarily a bad thing. The layout of branching pathways, boost pads, power-ups (mainly in the form of shape shifiting changes to Armillo) and enemies is all very well executed; providing an engaging and fun level design was clearly on the top of the list for Fuzzy Wuzzy Games. Across each of the Worlds you'll tackle around two dozen of these 3D platforming levels, and not any one of them is a let down. 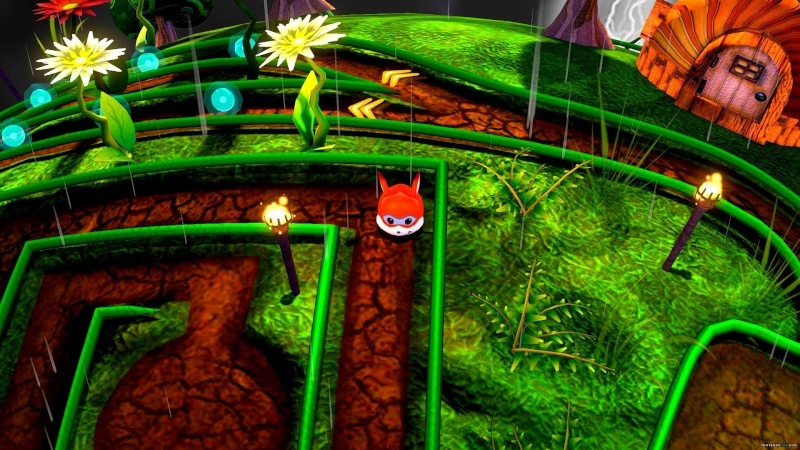 Each manages to incorporate at least one unique idea, from slippery ice to disappearing platforms, and really shows the amount of care put into Armillo. 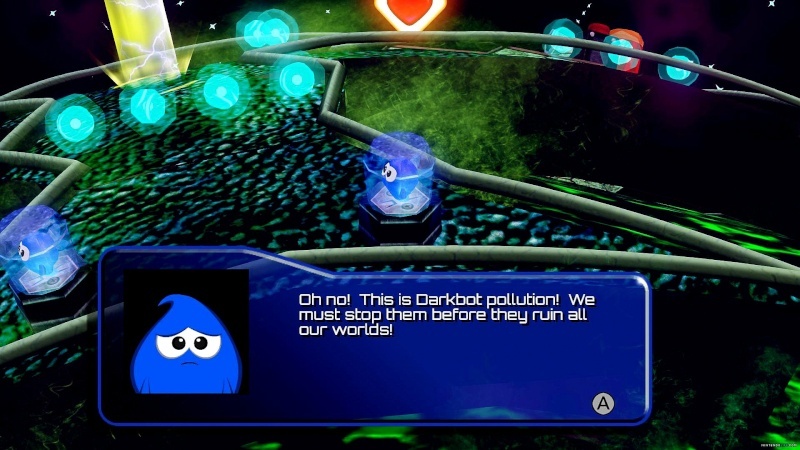 Scattered throughout the levels are also optional objects to pick up, mainly currency to use in the Shop and Critters to save from the invading Darkbots. Each item serves its purpose in the long run; as the game has a near perfect difficulty curve and help is greatly appreciated in the latter levels, which become fairly challenging. Besides the main story, there are also extra platforming levels to unlock; one for every level in the main game, minus boss battle levels. 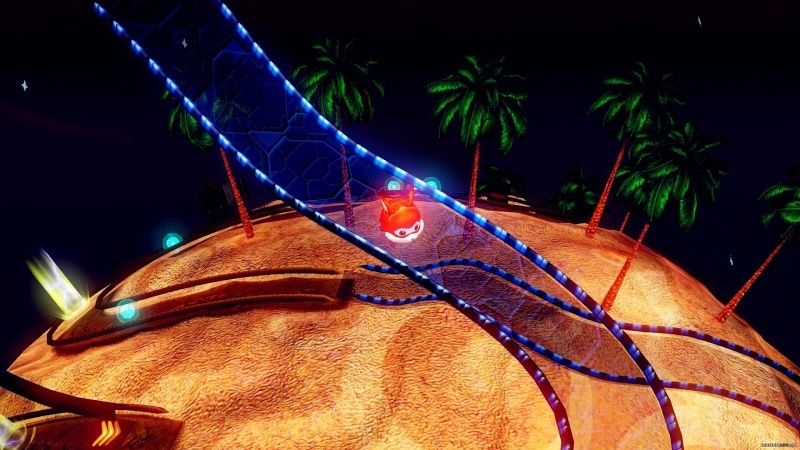 These levels incorporate a strict timer, a 2D level design and a double jump maechanic, adding greatly to the already acceptable level of content. Throw in even more unlockable 2D levels (accessible after clearing three 2D levels from each world), Medals awarded after every stage and all of the secret collectables, and you have a game which can last upwards of ten hours for completion. Armillo certainly boasts a hefty game beneath the fairly low price, as evidenced by the hefty download size; largely due to the extensive soundtrack found in the game. The technical side of things however, is hit or miss in terms of quality. While the graphics are beautiful and deserve their own recognition, the framerate drops hinder the experience to a small degree. Hopefully Fuzzy Wuzzy Games can patch this issue, as it holds back what is otherwise a great addition to the Wii U eShop. Nice review! It sounds like an interesting mix of Mario Galaxy and Sonic, so I may try it out someday. It actually is, Dash. Though it is more linear than galaxy, instead focusing on giving you constant puzzles.